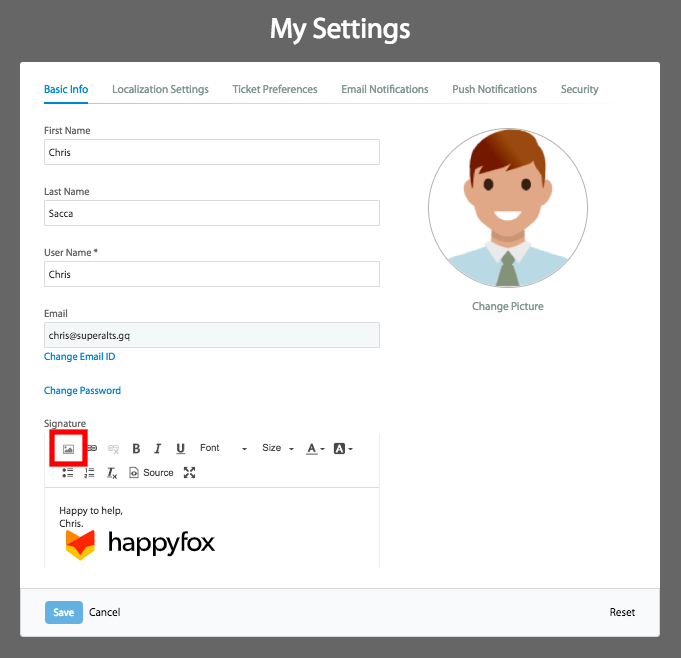 The My Settings page on your HappyFox account allows you to customize information related to your HappyFox agent account. To add an image in Signature you can drag and drop the images into the text editor directly. You can also use the Upload Image option or the HTML Source Editor. Go to My Settings > Basic Info > Signature. Click on Image Icon and upload the image.